When British artist Bill Burgess dies of leukemia, his American wife Gloria is left alone in London with their young son and inconsolable grief. To help herself come to terms with her sorrow, Gloria delves into lessons from the past and from her own parents' failed relationship. Her father never recovered from the death of his first love, and her mother lived in bitterness at giving up her own ambitions for a man who never loved her. Between her father's clinging despair and her mother's emotional abandonment, Gloria struggles to find a balance for herself and for her young son. Eventually, she discovers ways to reinvent herself and to bring peace to the tumult of life. 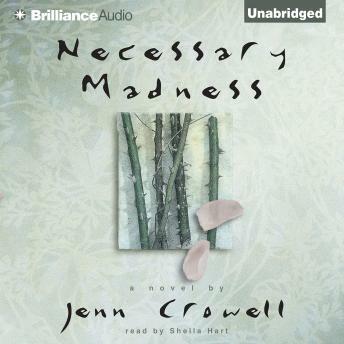 Written at the tender age of seventeen, and an international sensation before publication, "Necessary Madness" is a lyrical first novel about the many shades of love and loss.